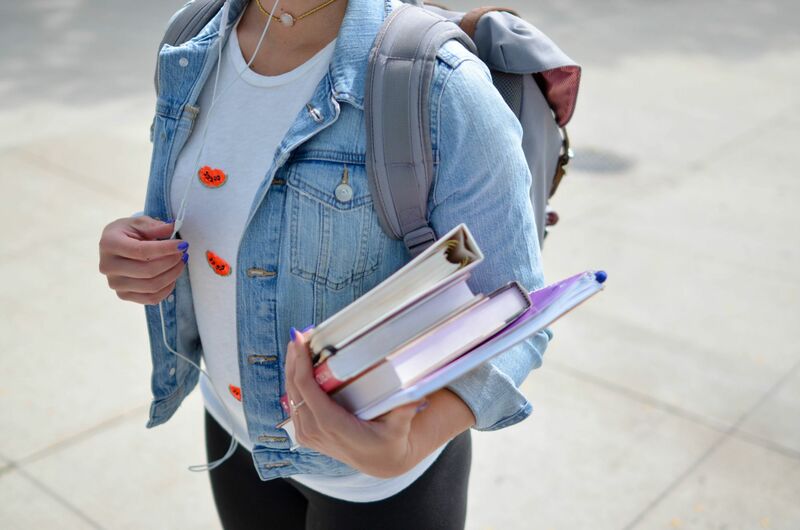 College is often described as “the best four years of your life,” and while that might be the case for many, this representation can make individuals feel alone when they go through difficult times. It’s perfectly normal to experience ups and downs during college. In fact, the American College Health Association reported that 62% of undergraduates experienced “overwhelming anxiety” in 2015. While we are often resilient enough to “tough it out,” and just brute force our way through the difficulties in life, it’s equally important to avoid burn out. Taking care of your mental health before reaching a crisis point can help you succeed academically and personally, and help you feel less stressed in your daily life. Here are creative steps and resources you can utilize to manage your stress and improve your mental health in college! Self-care is a phrase that is frequently tossed around and often associated with pampering oneself. The truth is that self-care is unique to each person that practices it. How we take care of our mental and emotional health is personal and varies incredibly between individuals, and there is no “right way” or “best way” to engage in self-care. Do what you need to take care of your mental health. It can be difficult to regularly carve out time to practice self-care, but try putting it in your calendar or to-do list or set daily reminders on your phone. Taking care of your mental health is just as important as checking off academic and work-related tasks, and budgeting time for yourself will end up saving you time in the long run. You will do and feel better if you give yourself time to recharge. These small acts of self-care definitely add up. Another important aspect for taking care of your mental health? Knowing your resources. Check out these amazing services on- and off-campus. Never be afraid to reach out for help. Whether you’re feeling a little overwhelmed, or like you’ve been run over by a thousand trucks, there is never a wrong time to seek out help. There are many resources available, and everybody there wants to help you out. National Suicide Hotline – The National Suicide Prevention Lifeline is open 24 Hours, 7 days a week, and takes both calls and messages through their online chat on the website. This confidential resource services those in distress, as well as friends or loved ones who may be concerned about someone dealing with the effects of suicide. They can be reached at 1-800-273-8255. Trevor Project Lifeline – The Trevor Project provides crisis intervention and counseling via phone and messaging for LGBTQ+ people ages 13-24. Their website is full of resources for LGBTQ+ individuals regarding sexual orientation, gender identity, suicide prevention, and more. They can be reached at 866-488-7386. SAMHSA – The Substance Abuse and Mental Health Services Administration, runs a confidential, 24/7 treatment referral routing service that provides information and treatment options to individuals (or loved ones of individuals) struggling with substance use disorders. This service is provided in English and Spanish, and is mainly an information service. For crisis counseling, it may be better to use another resource. They can be reached at 1-800-662-4357. Veterans Crisis Line – The Veterans Crisis Line connects veterans in crisis and their loved ones to qualified responders from the Department of Veteran Affairs. This resource is offered 24/7, and is free and confidential. Messaging, texting, and calling options are all available, as well as support for deaf and hard of hearing individuals. Their website also includes resources on mental health concerns specific to veterans. They can be reached at 1-800-273-8255, and also feature messaging on their website. National Eating Disorders Association – NEDA works to support individuals and loved ones affected by eating disorders through prevention, treatment, and access to quality care. Their website is full of resources for those struggling with eating disorders, as well as a helpline and messaging service from the hours of 9am-9pm Monday-Thursday and 9am-5pm on Friday. They can be reached at 1-800-931-2237 and messaging is available on their website. Zencare.co – Zencare is the simplest way to find an off-campus therapist. Find quality-vetted therapists, psychiatrists, and dietitians recommended by peers, and book free a phone consultation directly on the site. Search therapists in the Boston area and Rhode Island and view introductory videos and photos to help you find the right provider for you! A version of this article was originally posted on HerCampus Harvard’s website. Bri Pastro is a senior at Tufts University majoring in Psychology with an interest in psychopathology, specifically PTSD and self injurious behaviors. Everyone deals with a lack of confidence from time to time. But when those feelings turn unshakeable, and start getting in the way of personal peace of mind, it might be an indication of imposter syndrome. Here are steps you can take to identify and overcome your unique imposter syndrome patterns. In the third of our three-part article series, therapist Paul Zasada shares his best advice for 20-somethings navigating relationships. In the first of our three-part article series, therapist Brie Shelley shares her best advice for 20-somethings navigating careers and other crises.